ike the Jackson Five and the Osmonds, the Sylvers were a family act. Various combinations of the nine brothers and sisters have made up the Sylvers over the years, from their earliest days singing as infants in their native Tennessee to their 1985 single, "Falling for Your Love," for Geffen Records. The four eldest Sylvers were originally called the Little Angels. Olympia-Ann, Leon Frank III, Charmaine and James were encouraged by their mother, a former opera singer herself, to enter local talent contests. After proving themselves in Memphis, they were invited to appear on television with stars like Dinah Shore, Groucho Marx, Spike Jones and Danny Thomas. They also toured the United States and Europe as opening act for Johnny Mathis and Ray Charles. "Boogie Fever" was a #1 smash from the Sylvers' 1976 album Showcase, which peaked at #58 on the Billboard Hot 200 and remained on the album charts for 25 weeks. In Apr. 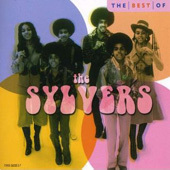 2003, EMI Special Products released The Best of The Sylvers (above), a 10-track compilation CD which contains the Top 5 Sylvers hits "Boogie Fever" and "Hot Line." In 1971, younger siblings Edmund, Ricky and Foster became part of the act and the group signed with MGM's Pride label. Three singles charted on Billboard 's Hot 100, but they were all bested by a solo effort from Foster, "Misdemeanor," which peaked at number 22 in July, 1973. When Larkin Arnold, then vice president for Capitol Records, signed the Sylvers in 1975, he hired Motown veteran Freddie Perren to produce them. Perren helped write and produce three number one singles for the Jackson Five ("I Want You Back," "ABC," "The Love You Save") plus one for Michael Jackson ("Ben"). "I've been blessed to be able to work with families," says Perren, who has also worked with the brothers known as Tavares ("It Only Takes a Minute," "Heaven Must Be Missing an Angel"). "There's usually a thread that holds them together -- a low, middle and high singer. God seems to have made a person for each part that needs to be sung." The first time Perren heard the Sylvers, he knew he would be working with 24-carat material. "They were pure gold. I was blown away at the intricate harmonies they sang." The group had many of the same strengths as the early Jacksons, according to Perren, including a lead singer (Edmund) who was beginning to mature, but still had a youthful flavor to his voice. Lyricist Keni St. James, one of Perren's oldest friends and collaborators, came to rehearsals and suggested they come up with a song using one of the popular words of the day, "boogie." The funky tune that emerged, "Boogie Fever," featured all nine Sylvers, including the youngest sisters, Angelia and Pat. The single entered the Hot 100 at number 84 on February 14, 1976, and took 13 weeks to climb to number one. Perren says the song was successful because it appealed to kids and young adults. "You didn't need a PhD in music to understand what it was all about. People like to party, it had a recognizable and relatable lyric, the track was really pumping and it was released at the beginning of the disco thing." The follow-up to "Boogie Fever," a confection called "Cotton Candy," had a short chart run, peaking at number 57. But the next single, "Hot Line," was the group's second biggest hit, peaking at number five in January, 1977. Label deals with Casablanca and Solar followed, with Leon writing for many of the artists on the Solar roster. The Sylvers line-up that recorded for Geffen was a sextet, consisting of Foster, Ricky, James, Charmaine, Angelia and Pat.